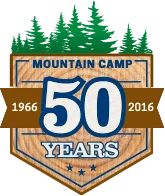 Do you know any friends who you think would love Mountain Camp as much as you do? Send us their names and addresses and we’ll get information out to them right away. Your camper will receive a gift from the store when they arrive at camp just for giving us a referral!